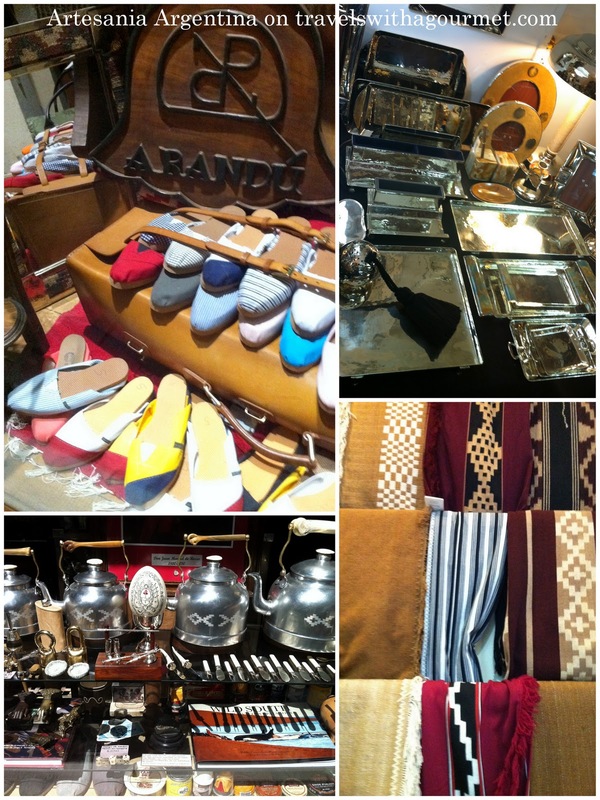 Right smack in the tony neighborhood of Recoleta, Arandu has been in business since 1987 producing high quality traditional Argentinean arts and crafts. From belts to ponchos, alpargatas to boots and all sorts of leather goods, pewter items to silverware, carriages to saddles and even clothes, are all beautifully displayed at their multi-story boutique close to the Alvear Hotel. They have several branches in the city but it’s this particular location that is often visited by celebrities and tourists in search of a souvenir or made-to-order equestrian equipment. Best buy: gaucho-inspired belt or alpargatas for less than US$20. In an apartment located in residential Recoleta is this amazing boutique of Maria del Pino Lecuona de Prat (a mouthful of a name) where one-of-a-kind pewter items from Salta are for sale. There are trays and soap dishes, bracelets and picture frames, ice buckets and tumblers, all of them handmade. Prices are not cheap but this is a real find. Call first for an appointment. Best buy: pewter stirrup-shaped teaspoon with a handle covered in braided leather for about US$10. Although not a shop that specializes in traditional Argentinean artifacts, this colorful store on Recoleta’s chi-chi antique furniture and art gallery street Arroyo, is a delight. Antique posters, old toys reworked as lamps, decorative pieces and furniture. You’ll be sure to find something you like and if friendly owner Miguel is there, have a chat with him to find out a bit more about his whimsical designs. 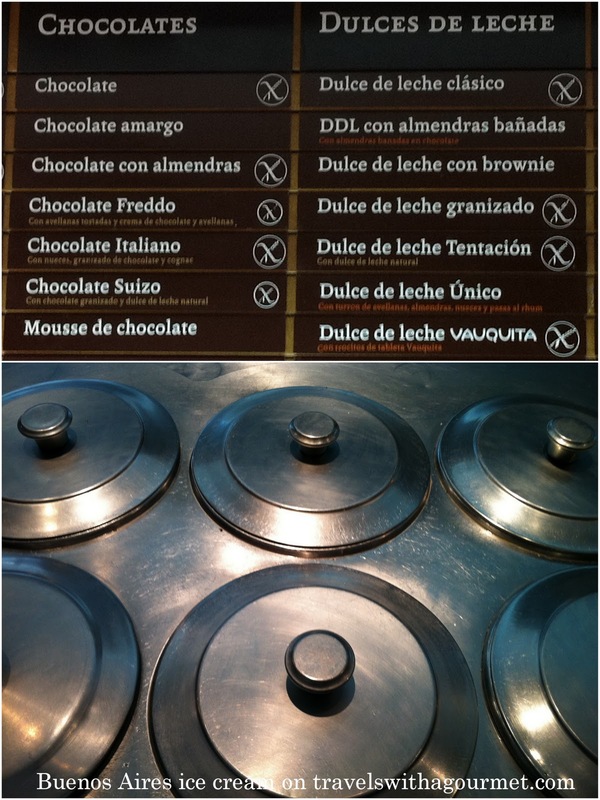 Argentina competes with Italy for best artesanal gelatos with an excellent quality and innovative flavors. There is always the original, classic Freddo (several locations, Delivery ) but our favorite is Un’Altra Volta (also several locations, Delivery 0810 88-VOLTA) for their creamy flavors and an incomparable chocolate amargo (bitter chocolate). A stroll around the neighborhood of Recoleta, mainly on Avenida Alvear and Avenida Posadas where several fantastic examples of Belle-Epoque architecture are evident and where the city’s most expensive designer boutiques, both local and imported ones, are located. 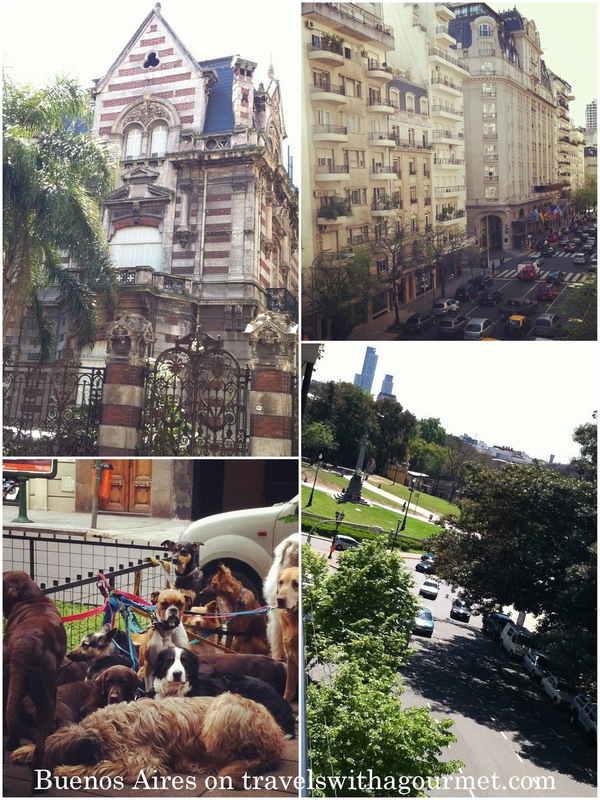 Watch out for the dog walkers as well – another interesting Buenos Aires feature. My two favorites on their menu and probably the best versions in the city. 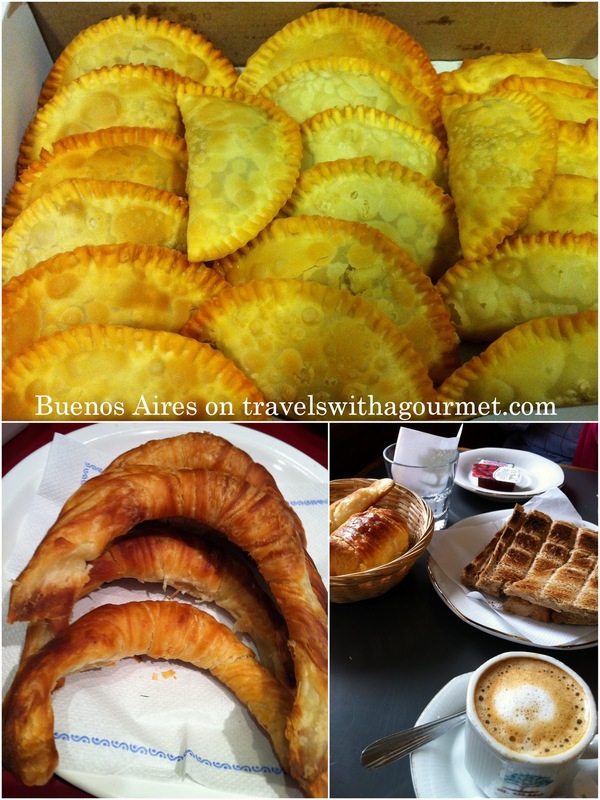 Empanadas de carne – hot crispy, fried pastries filled with a delicious ground meat and spice mix and Mollejas de corazon (veal sweetbreads) – sliced thinly and grilled to perfection and enjoyed just with a spritz of lemon. Best buy: A dozen empanadas to go or to delivered to your doorstep in a box. Empanadas are about US$1.50 each. 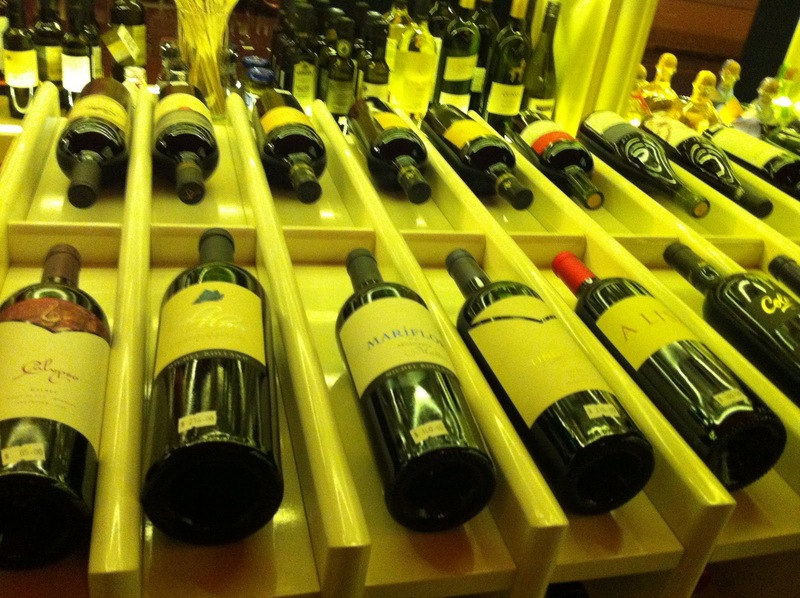 Good value and reasonably-priced, wines are good presents for friends or for your own cellar. There are several wine stores in the city but this is one that we liked because of the friendly service and knowledgeable staff. They have a well-edited selection of wines accompanied by wine accessories and beautiful leather products making it a one-of-a-kind store. Plus, they pack the wines in styrofoam cases ready to be checked in for a long flight and deliver to your apartment of hotel. Best buy: a bottle of the typical Argentine white wine Torrontes for around US$15. In out of the way San Telmo, this wine bar is paving the way to proper enjoyment of wines with it’s policy of selling wines with retail shop prices in the restaurant to encourage diners to splash out on a good bottle of wine instead of ordering the usual cheaper wines by the glass. It’s an idea that should be copied wordlwide. Best buy: a plate of cured salmon (US$11) with a bottle of Torrontes (US$15).